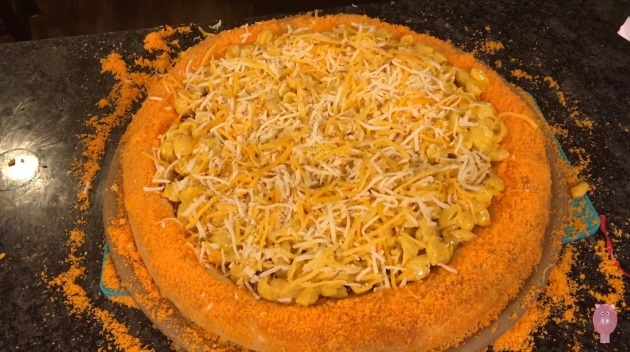 The food gods are obviously in a great mood because some shameless glutton for junk food punishment created a mac ‘n Cheetos pizza. The sad thing about it is we’re not even judging them for concocting this massive mound of calories. Instead, we’d like this beautiful abomination delivered to a plate near us, piping hot and gooey, please and thanks. Before you commence to aimlessly stumbling around your kitchen trying to make this pizza based off the food images that are likely colliding in your mind, stumble no further: YouTube channel Hellthy Junk Food features a hilarious DIY tutorial that’s perfectly suitable for those of us who didn’t formally study pizza in college. Or cooking. You basically make a couple boxes of Kraft Velveeta Shells & Cheese and pizza dough (store bought’s cool if you’re lazy AF). If you manage to not just wolf down the mac ‘n cheese and call it a wrap, then congrats on your admirable restraint. Next, brush a beaten egg around the edges of the pizza crust and sprinkle Cheeto dust EVERYWHERE. Bake at 475 degrees of 10 minutes, pull it out of the oven and save us a slice (or three). Nevermind — we’re already heading over. 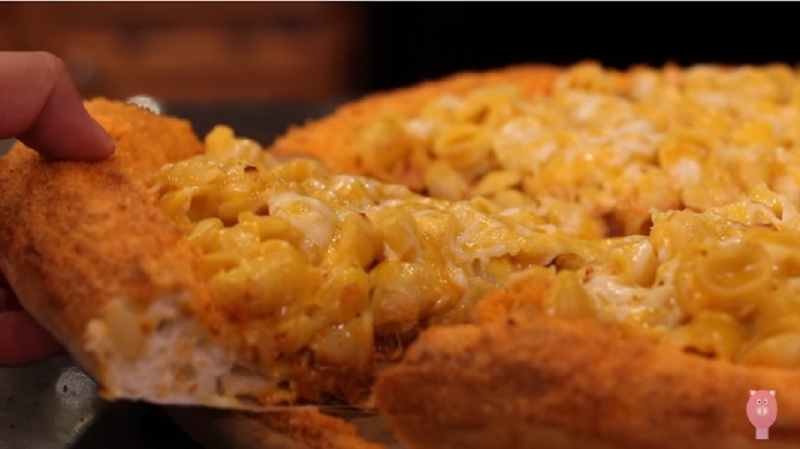 To ensure that your weekend binge-watching sesh is totally lit, here’s the full Mac n’ Cheetos pizza recipe.